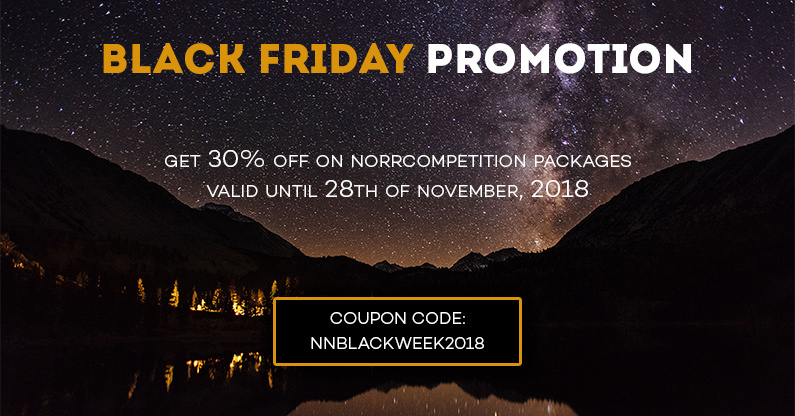 Black Friday is coming and today we have prepared something for you... Now you can get any NorrCompetition package with a 30% discount! The discount is valid since 16th until 28th of November. Do not miss this opportunity! RoundTheme provides 30% Off on all Kunena templates. Valid since 18th til 28th of November. We offer 40% discount on all Joomla templates! Our fantastic offer is valid until 28th November. Don't miss it! Coupon valid since 16th until 26th November. We offer 40% discount on best Joomla extensions! This offer is valid until 28th November. Don't miss it! Weppsol is a premium Joomla extensions, Web & Mobile App Developer. Providing innovative web solutions for your business. Popular with the Joomlers for extensions like JoomPush, JoomReporter, JoomReminder & Bitcoin Payment Plugins for VM & RDSubs. JoomDev is offering flat 50% discount on their Joomla templates and extensions including membership plans. Best WCAG and ADA Wordpress themes. Discover the best solution for your site. Easy to customize and supported! Joomill creates easy-to-use Joomla! and Hikashop extensions. Most Popular extensions are Opening Hours module, Hikashop for Widgetkit and our Custom Fields plugins pack. Techjoomla is one of the leading extension developers in the Joomla Sphere today. Both community supported as well as commercially supported extensions serving a variety of uses are provided by us. Some of our popular extensions are JGive, JTicketing, Quick2Cart, Shika. Get your Black Friday / Cyber Monday discounts for AMPZ - the best Social Sharing Extension for Joomla! - now! 30% discount on any subscription of AMPZ. More coupons from template and extension providers can be found at JoomlaBeginner site. Team manager, web developer, and Joomla enthusiast who has been a part of and has worked in many of the major web development roles since 2002 taking on a wide array of various projects.